Since 1987 I have been helping people achieve their health goals through acupuncture, nutrition, herbal medicine, and lifestyle counseling. I also facilitate my patients in healing limiting beliefs and releasing old traumas and wounding. In 2009, I added Emotional Freedom Techniques [EFT] to my toolbox. It has transformed my practice and the lives of many of my patients. To be able to facilitate deep change in life long patterns is such an honor and a joy to be a part of. 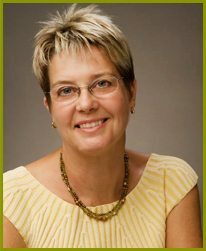 Dr. Nancy Lowe began her career in holistic health over 30 years ago with an interest in natural foods and nutrition. She became a certified massage therapist and soon afterward she was enrolled at Five Branches University of Traditional Chinese Medicine. She received her acupuncture license in 1987. Today she is a professor at Five Branches and in 2008 after 2 years of rigorous study with many eminent Chinese and American practitioners of Traditional Chinese Medicine[TCM], which included study at Zhejiang University of Chinese Medicine in Hangzhou China; she received her Doctorate of Acupuncture and Oriental Medicine [DAOM].